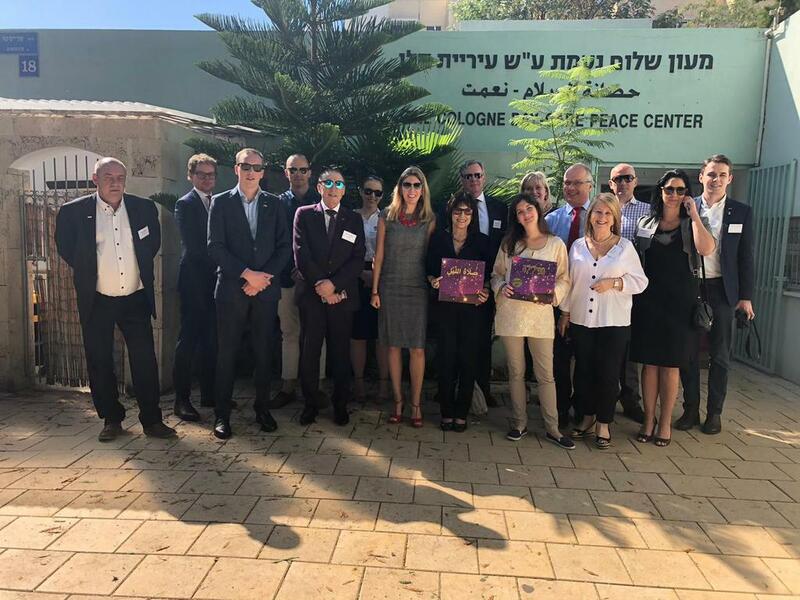 This year BITUD took its delegation of 2018 to Israel and Palestine, with Community Union, the Prison Officers’ trade union, the First Division Association (FDA) as well as colleagues from Australia. 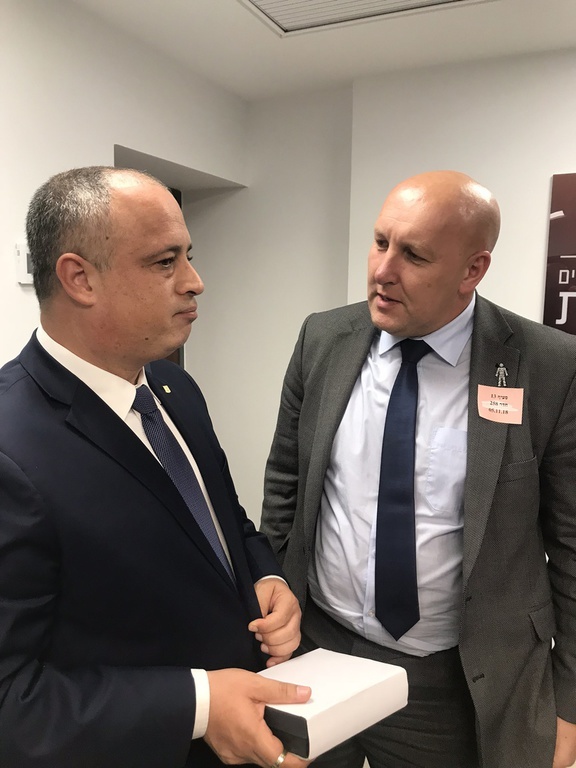 Our delegations aim to meet with sister trade unionists in Israel and Palestine, as well a Labor Party representatives, social action groups and peace activists. This gives trade union delegates a flavour of BITUD’s support for progressives in the region. The first morning we travelled to visit a day care nursery in Jaffa. This is run by the Histadrut’s women’s section, Na’amat and is a great example of coexistence in Israel. Children from Jewish and Arab families learned together in an environment of fraternity and equality. It was great to see Hebrew and Arabic spoken and written in all their work. 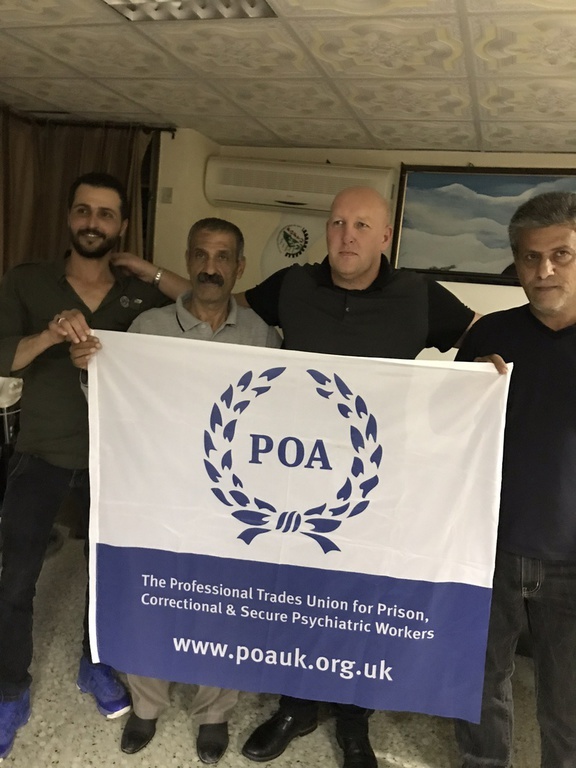 Whilst we were the day care centre, Mark Fairhurst, Chairman of the POA, visited Hadarim prison, and was given a tour of the prison by the Israeli prison service. 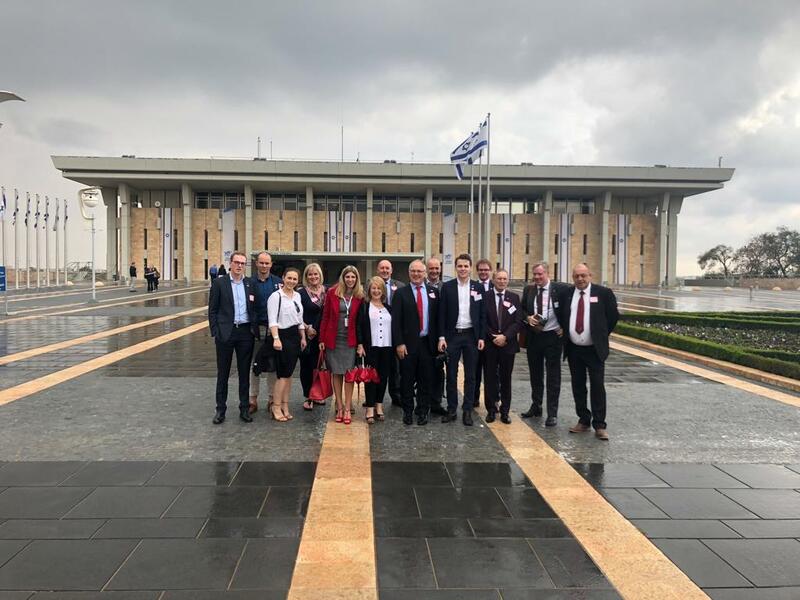 Later the group travelled to the Histadrut’s headquarters, to meet with the head of economic affairs. We were briefed on the scheduled General Strike, due to commence on the Wednesday that week, in support of Health and Safety improvements on construction sites. We the travelled to Jerusalem and visited the Knesset to have an afternoon meeting with MK Hilik Bar, General Secretary of the Labor party – we had a tour of the Knesset and a fascinating meeting with Hilik which covered a large range of topics including Israeli settlements in the West Bank, the Histadrut and the Labor Party and also the two-state solution. 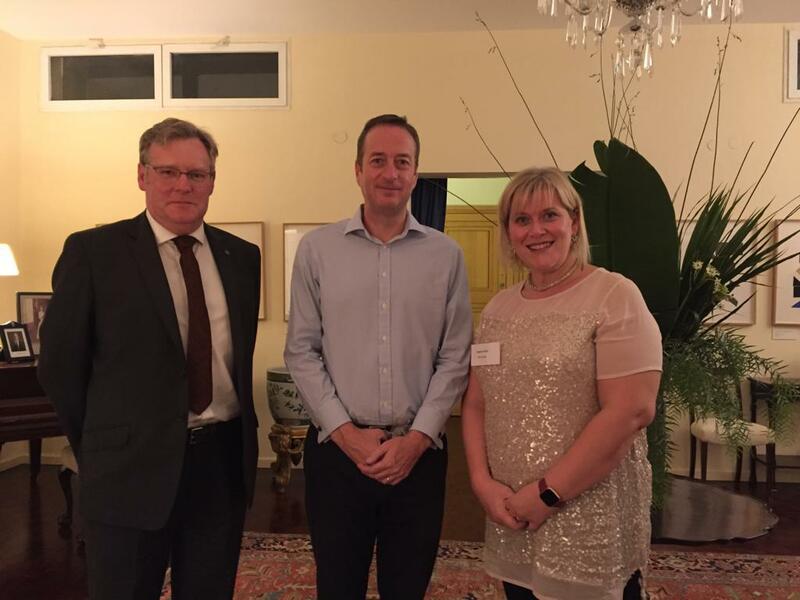 An evening engagement with the British Ambassador, David Quarrey where we discussed the British and Israel relations rounded off a great first day. 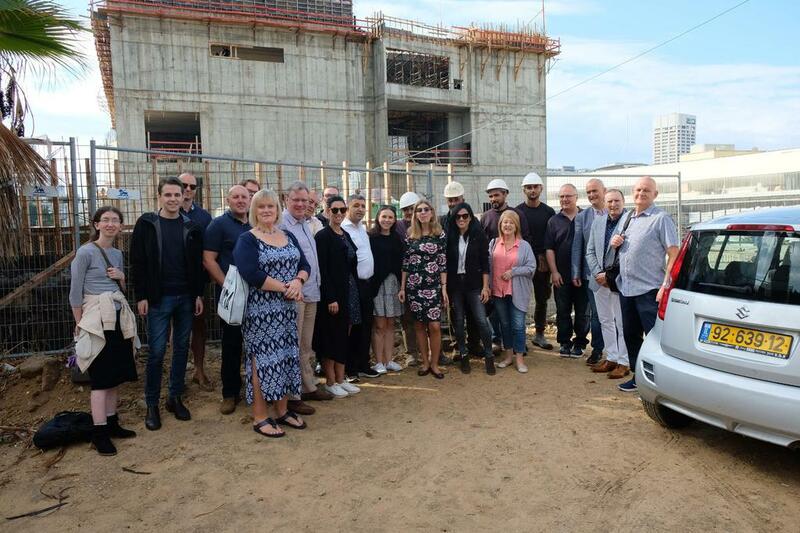 The group travelled to a large construction site in Tel Aviv to meet with Palestinian construction workers. 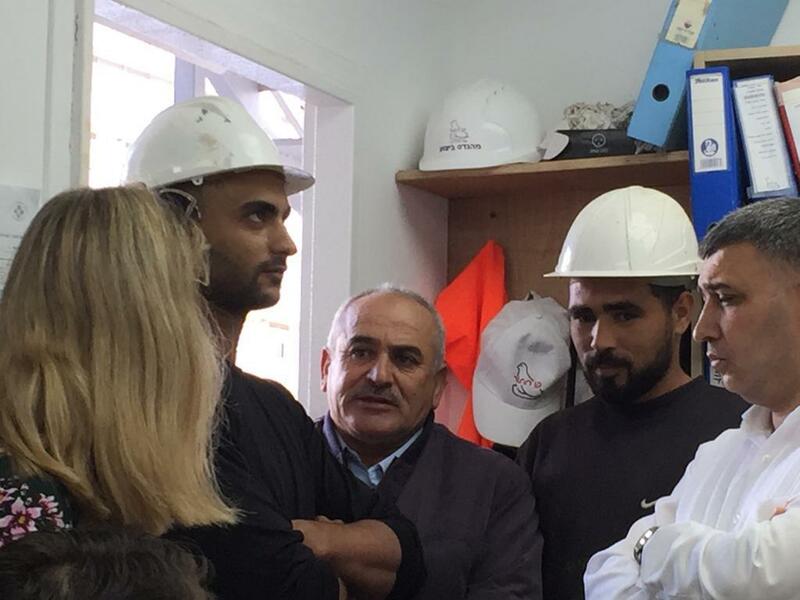 We had a discussion about the difficulties in accessing Israel through checkpoints and pay and conditions in the construction industry. 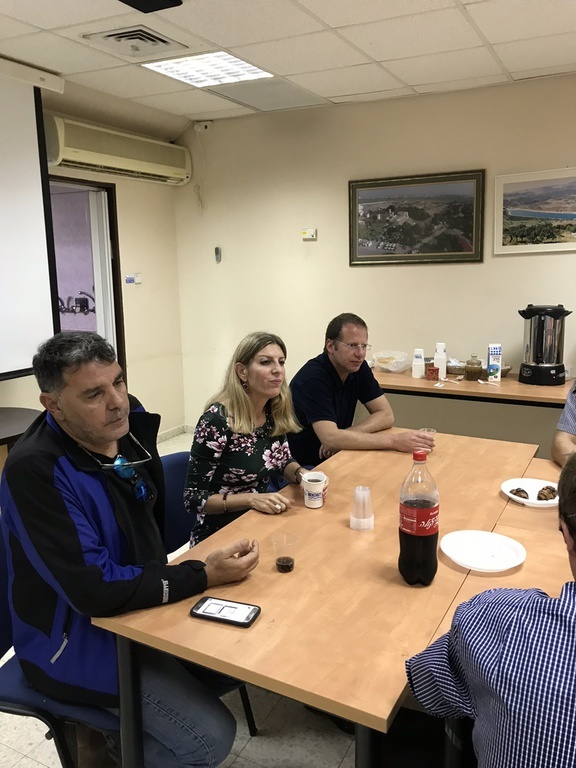 The meeting came at a very topical time, as a General Strike across the whole of Israel was scheduled for the following day on the issue of construction site safety. There had been 38 fatalities in the industry over 2018 and action was needed to improve site safety and stop the deaths. 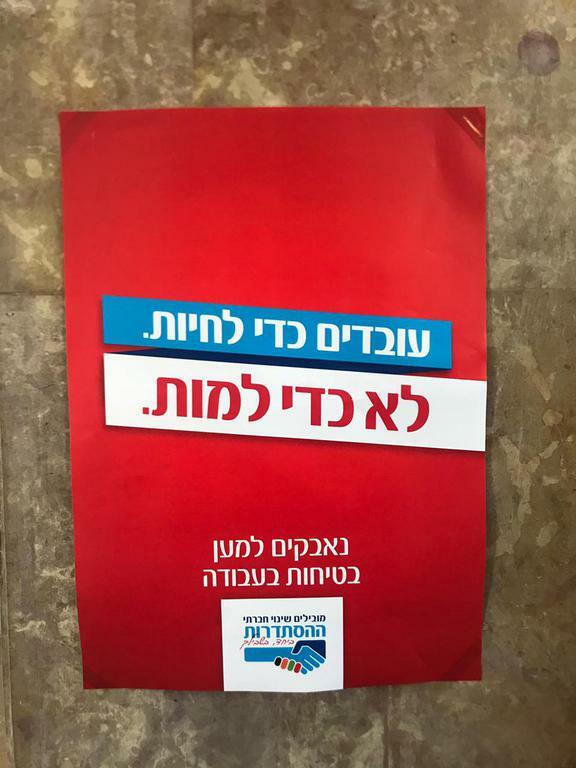 The Histadrut had made several demands that they were at the time in negotiations to get from the government and employers. We then travelled down south the Gaza border at Kibbutz Nir Aim. We were hosted by the trade union representatives of the Merkorot water company. They gave us a briefing on water supply in Israel and their continued supply to the Gaza strip. The group was able to see the Gaza strip and the topography of the landscape between Israel and Gaza. We also saw the damage to the land from the incendiary balloons that had burnt the fields all around us and left everywhere blackened. 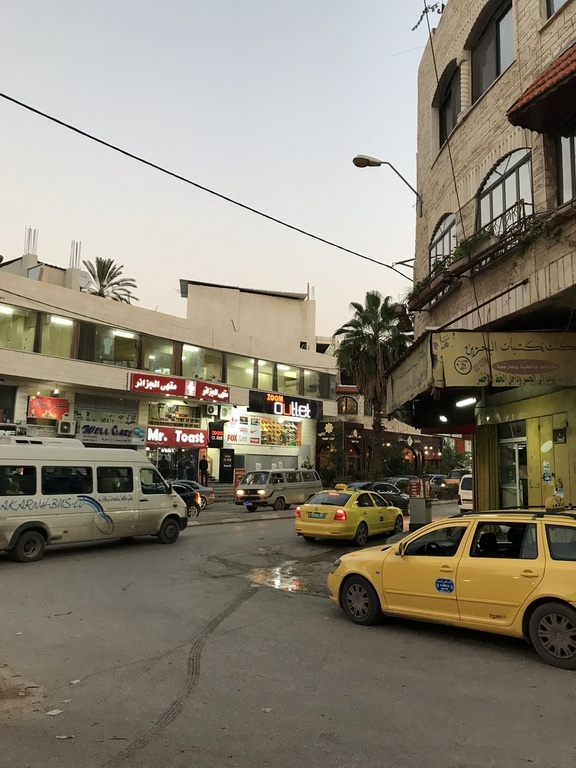 Our delegation made the fairly short journey to the large town of Jenin in the northern West Bank to meet with our trade union brothers and sister in the Palestine General Federation of Trade Unions (PGFTU). We had a full and frank discussion about the issues within the Palestinian Authority areas. 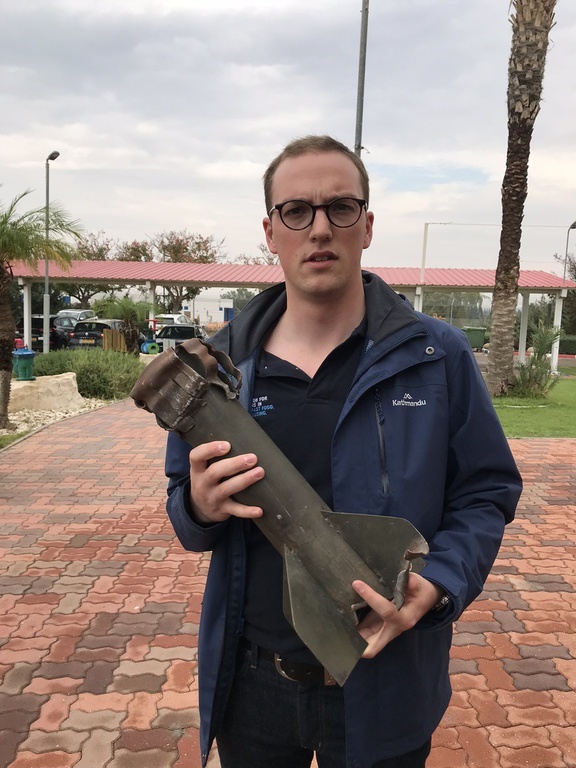 They were having a campaign to increase the minimum wage up to 2400 shekels per month, as well as attracting job opportunities for the growing number of Palestinians with degrees. They were also campaigning for improvements in the working environment for women, which they said were worse for women, with many incidents of harsh bosses and sometimes violence. We said we would pass on these issues to the British and Israeli trade union centres. We have to support the PGFTU in their work. Later that evening we had a briefing from James McDonald, a OneVoice representative, the organisation that works so hard to create the conditions for a two-state solution, especially among young people. 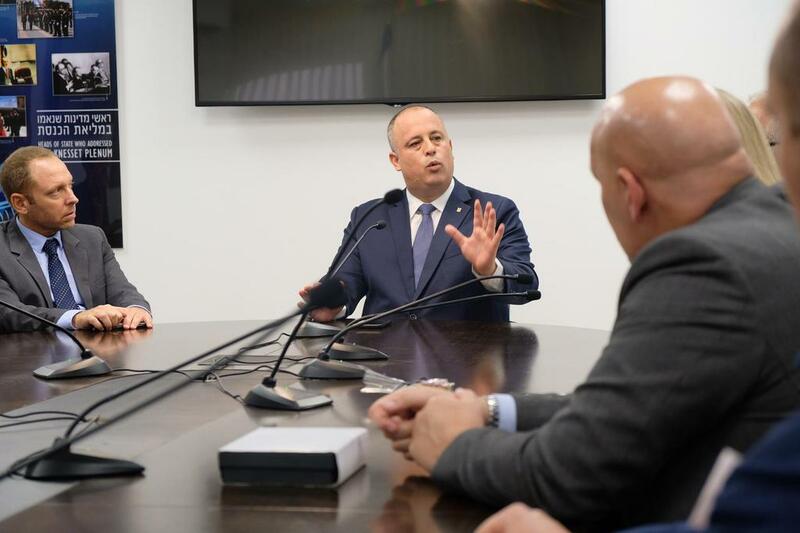 Our speaker was enthusiastic about the chances of peace between Israeli and Palestinians and we should always work for the two-state solution and get over any obstacles. His contribution was one of the highlights of the week for many of our delegates. An early start for our day in Jerusalem. 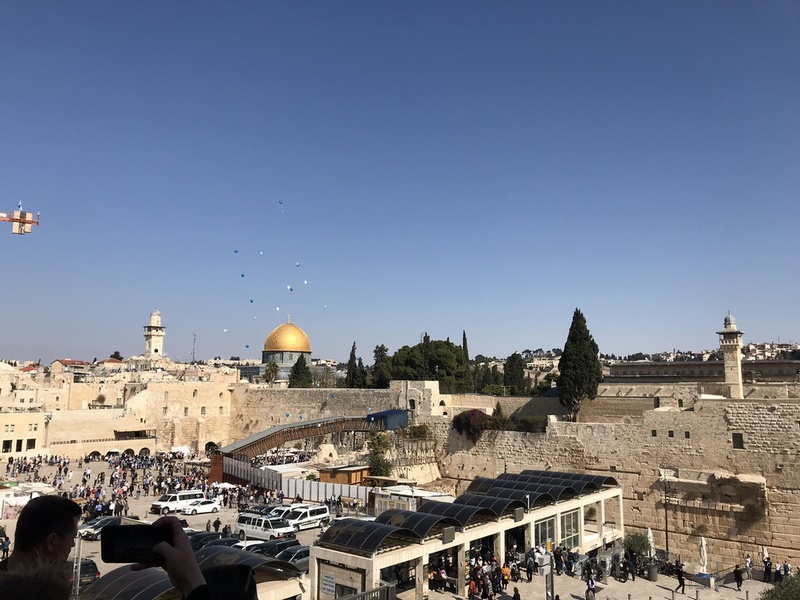 We drove to Jerusalem and first drove through the east of the city to visit the magnificent views from the Mount of Olives overlooking the Old City. We then visited the Church of Gethsemane. Our guide took the group around the Old City in Jerusalem. Visiting one of the most historical places in the world. 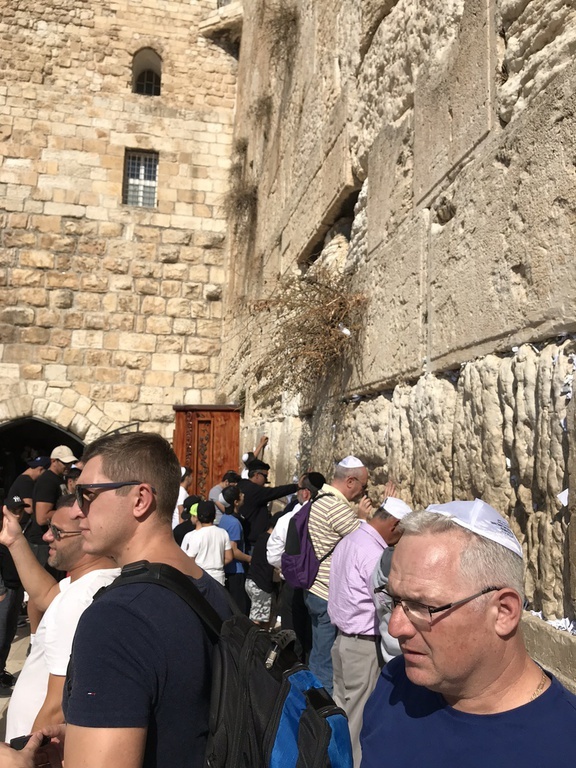 We visited the Jewish, Arab, Armenian and Christian quarters and visited many churches including the Church of the Holy Sepulchre and the Western Wall. After lunch followed and then we travelled to Yad Vashem, the Holocaust memorial centre in Jerusalem. This is a significant point in the delegation, where the full scale of the Holocaust has been recorded within an extensive exhibition. 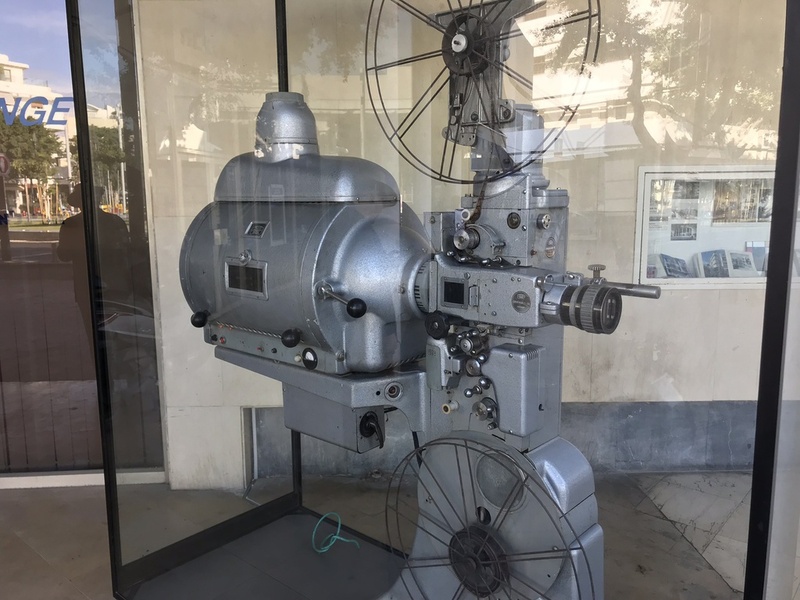 The museum was established in 1953 and documents the history of the Jewish people during the Holocaust. 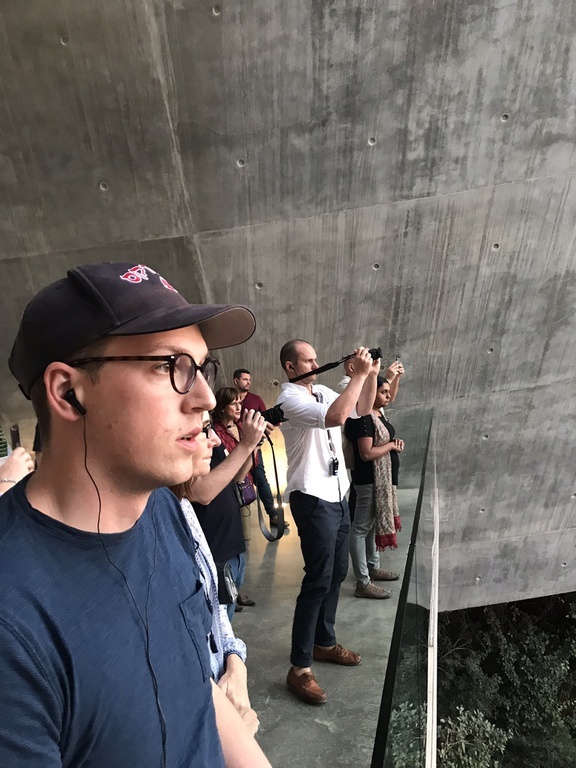 The new Holocaust history museum was opened in 2005 and makes Yad Vashem the largest Holocaust museum in the world. 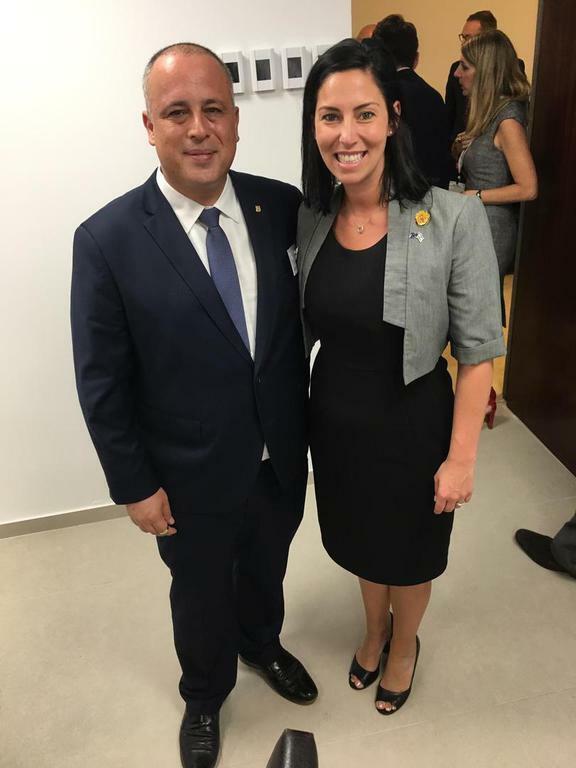 BITUD would like to thank the Histadrut, their Director of the International Department Avital Shapira-Shabirow and International Officer Gary Kaplan for co-ordinating the delegation; and all the unions for their hospitality. We would also like to thank all the participating unions for their help and support. 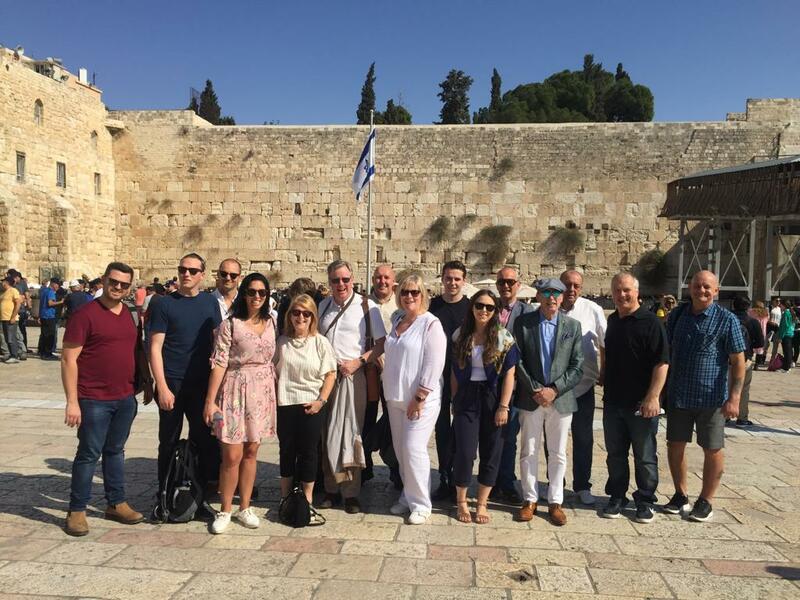 BITUD takes British trade union delegations to visit Israel and the Palestinian territories to gain a first-hand understanding of the region and help develop stronger bonds between British, Israeli and Palestinian trade unionists.